“We didn’t lose a single client,” he said. 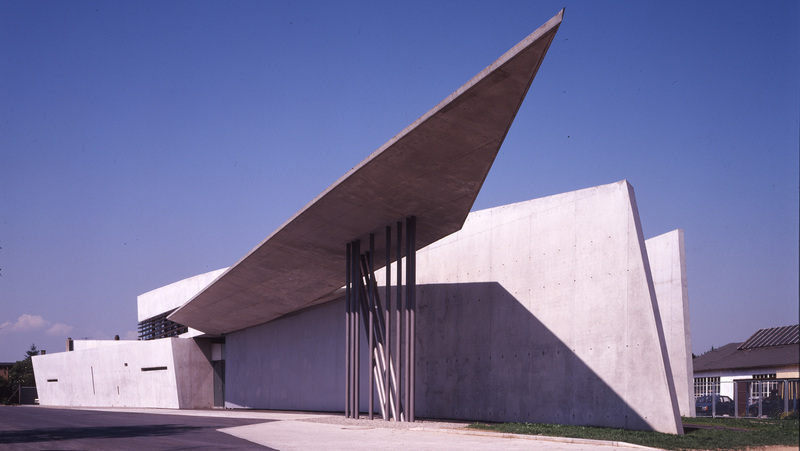 “But Zaha’s stardom as a cultural icon was the hardest thing to replace”. 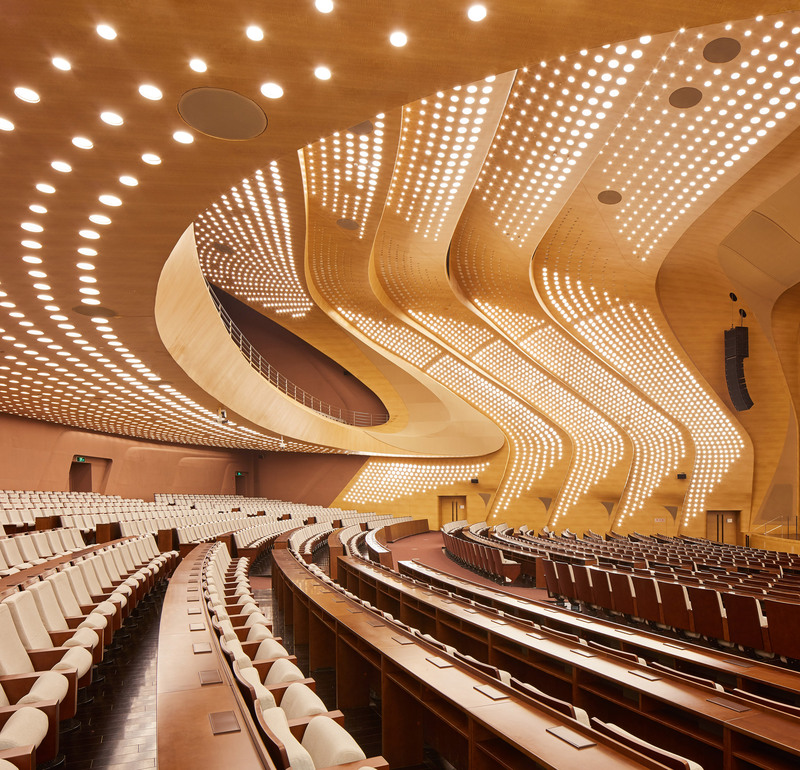 In the interview, Schumacher revealed that Zaha Hadid Architects may rebrand itself this year, with a new name that represents its “overall creative direction and ambition”. Schumacher talked about how, as a student, he first met Hadid at a 1988 London symposium where the great names of the deconstructivist movement spoke. “I thought Zaha was the most brilliant, the most approachable, and the most honest,” he said, deciding to join her rather than starting his own studio as he realised he could be part of something historic that he could not achieve on his own. “She was already a hot star on the scene and had established something that I thought was thrilling,” he said. “I wanted to participate in it because she was a kind of great, original genius who had surpassed her teachers in my view, but also so that I could contribute to imbedding this into a historical trajectory”. Schumacher was with Hadid in Miami when she died unexpectedly of a heart attack on 31 March 2016, aged 65. However Schumacher said the controversy has been good for business: “Some of the clients have a lot of sympathy for what I’m saying when they want to be more inventive with respect to the product they want to build,” he said. “There was never this kind of high-profile, creative [architecture] firm on that scale, which can’t just be kind of closed down after the leader has passed away,” he said. Marcus Fairs: Thanks for suggesting the interview Patrik. It’s three years since Zaha passed. I’ve got some questions to ask you of course, but is there any particular topic you wanted to cover? Patrik Schumacher: Yes, I mean, I wanted to express that we’re doing very well, we’re very optimistic about the future. We have been thriving actually in the last few years. I mean of course we had a lot of difficulties to overcome in the beginning, uncertainty, but we pulled together and we’re even expanding the business, with respect to the number of people and turnover quite significantly. So I want to send out that positive message when we commemorate three years of her passing. Patrik Schumacher: Yeah, well, yeah particularly last year, and we’ve been taking off, and also our people grew roughly from 380 to 440. Marcus Fairs: So that’s like 30 per cent growth or so in three years. Marcus Fairs: So a lot has happened in the last three years. But take me back to the moment when you found out that Zaha had died. How did that happen? What was what was your personal reaction and the office’s reaction? Patrik Schumacher: Yeah, I mean it was a lot of talking through everything. Yeah bouncing ideas, talking about also other people’s work we were seeing, the work we love and the history of 20th century architecture. We looked at things together. 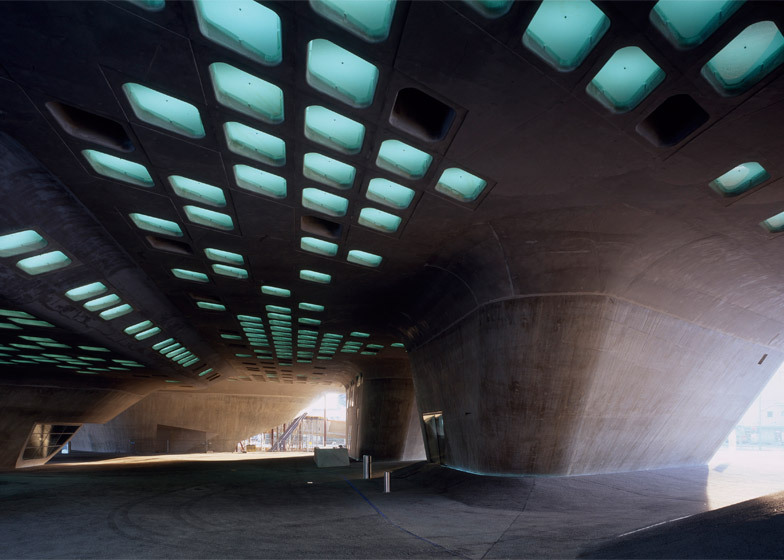 And it wasn’t… some people thought that Zaha was the design and ideas person and I was the executer. That’s not the way it was. I also am more of an ideas and design person. I started doing a lot of sketching and drawing and designing when I came in. But then there was suddenly this feeling, after losing too many of them, what can we do differently to make it happen? And in fact, we strategically scaled back the complexity and fluidity [of the work], and within a year we won MAXXI, Cincinnati and Wolfsburg, which all had a slightly reduced level of complexity compared to the designs we had been creating in the mid to late 90s. And then that was a huge breakthrough. And then a few years later, the increase of fluidity and complexity came back through in the works themselves. Patrik Schumacher: Well we had a congenial approach. I was a young architect, a student still, when I came to London. It was exciting, and it was the beginning of deconstructivism. I instantly identified with this group, and so much so as I want to join them. I just hit it off with Zaha. I went to the deconstructivism symposium [at the Tate gallery], I think two or three months ahead of the Deconstructivist Architecture show [at MoMA in New York], and all the decon stars were there lecturing. And I thought Zaha was the most brilliant, the most approachable, and the most honest. I had been aware of her work anyway already when I was at Stuttgart University in the early 80s, from 1985 to 1986. I came to London in 1987, so when it was a small studio. If you look at the deconstructivist group there were the creative, intuitive geniuses like Frank Gehry, Zaha, Wolf Prix [of Coop Himmelb(l)au]. And then there were the thinkers who were less talented but had more, let’s say, historical theoretical guidance like Rem [Koolhaas of OMA], Peter Eisenman and Bernard Tschumi. Zaha was familiar with all the work, but she liked me because I was familiar with all of them, what they were thinking and talking about, as well as the whole history of modern architecture. She started to bounce ideas [with me], to talk, to give confidence in the way she was pushing forward. Before that Rem of course, she was his student [at the Architectural Association school], Rem gave her an enormous amount of confidence. So I think it was a great collaboration. I’m often asked, why didn’t you set up on your own? I sometimes thought about it, but in the end I thought, this is a great collaboration, because the incredible energy and power and desire; personality power, wanting to succeed and excel. And playing in this pressure chamber I realised I didn’t have the personality to generate myself in the same fashion, which also means being incredibly… let’s say, pushing people. Because the desire to succeed overcomes all, let’s say, instincts of politeness and respectfulness. So there was this pressure and power and also she had set up already something which was already taking off. I thought it was perfect and she thought so as well. She was very confident with me as a partner. She saw me as somebody who would carry forward [her vision]. So the challenge was the wider public perception. What would clients think, what would city officials think, and trustees of boards of museums? I was kind of invisible relatively speaking in the mainstream media. I was highly visible in [specialist] media, because I also developed the Design Research Laboratory [at the AA school], I developed my writing under the articles literally, plus the books, and lecture series, and professorships, and so on. So I was obviously a figure leader of the field, but not visible to the outside, so that was a big challenge. And also the challenge was to get all the headhunters off the backs of our key people because we are very collegial, we are very collectively driven. That’s the secret of our success. Zaha not only let me have a lot of space, but we both collectively gave a lot of creative space to others. That’s different from maybe other studios that are more centered on one creator. We created more of a creative culture where we give a lot of scope and leverage. That’s why we also could expand. There was a strong spirit and DNA and many of our staff were ex students from the various studios where we taught. I’ve been teaching at Design Research Laboratory for 20 years; together with Zaha we did 15 years [at the Institute of Architecture at the University of Applied Arts] in Vienna. We did multiple studios at Yale, Harvard, Columbia. So that helped a lot. And people knew and understood the work, and so they weren’t relying on either of us, in fact, as a figurehead. It was its own thing. And I think that’s why we are maybe the largest firm in the world which has that artistic reputation at the same time and having that feel of a creative studio at that scale. Patrik Schumacher: It is doing surprisingly well. First of all in terms of the leadership group. My method was to them was to say: we’re in this together. We will be sharing everything, we will have a collective project, and bring everybody on board. And everybody is on board for that. Nobody left the company – and these are top, top people. But on the client side it was surprising that we didn’t lose a single client. Where we had started to discuss, where we had little sketches or we had the beginning of a project, nobody said: oh, well now your figurehead isn’t there, now it isn’t Zaha anymore, we will think twice about the project. We also got on quite a few shortlists. And in particular, we expanded the repertoire. 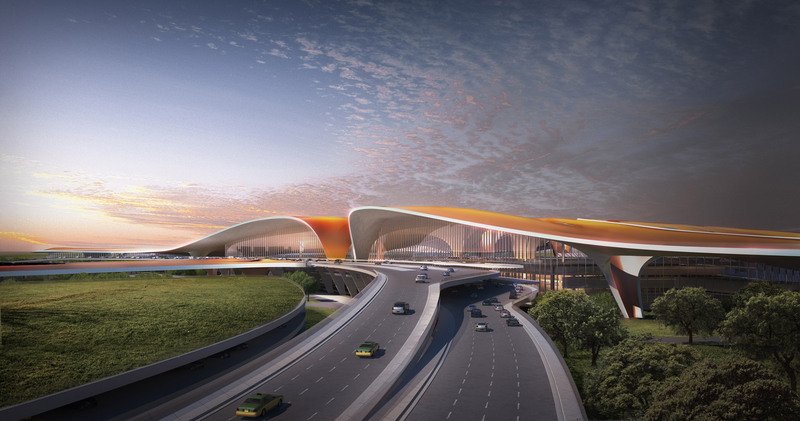 We have gone into aviation, infrastructure, larger mixed-use projects; we established relationships with clients in China. That continued. The harder one was to these absolutely cream projects, for instance, the new London concert hall, where we were considered [but didn’t win]. Patrik Schumacher: I had aired these views [before] in lectures and seminars and Facebook posts. But it was more under the radar. Maybe it was the new situation of my leadership position. A number of things came together to make it suddenly headline news, so that was surprising. I think it created some kind of turmoil a little bit, but ultimately it didn’t hurt the firm. It didn’t hurt my reputation I don’t think. I like to feel that with these kind of issues I can be a protagonist for the city of London but also more broadly about architecture’s role in societal progress, the way architecture is political, and the way politics is also directing and sometimes misdirecting the development of the built environment. To have a voice… I mean a public voice. I’m not the first architect who was stepping up with a public voice. 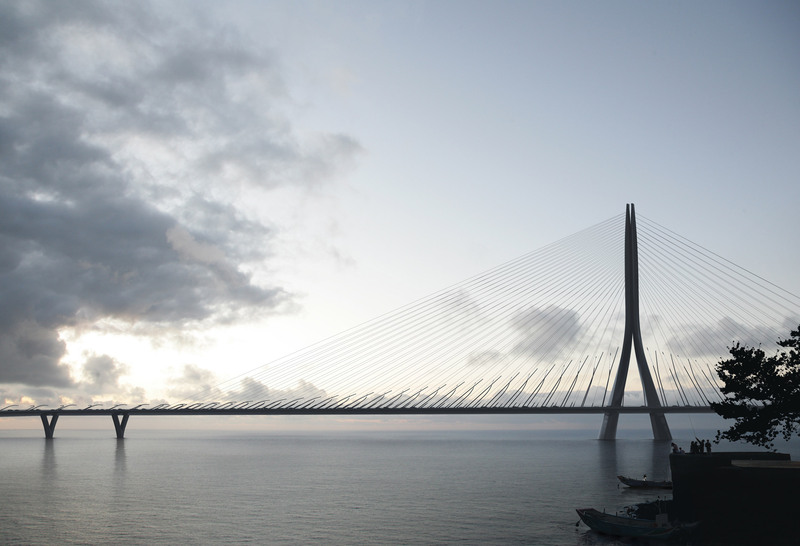 Marcus Fairs: But it’s unusual for someone in architecture to express views that are from the right side of the political spectrum rather than the left. Patrik Schumacher: I don’t like the right/left [distinction]. It’s not the correct compass to use, because what’s usually referred to as the right is not my kind of sensibility or my kind of politics. I would say it’s a more kind of liberty-oriented politics. Particularly in architecture where we need more degrees of freedom to design. A lot of architects approve and condone half of my messages, let’s say. But also entrepreneurs: some of the clients have a lot of sympathy for what I’m saying when they want to be more inventive with respect to the product they want to build. For instance, there’s a lot of ideas of co-living and a number of projects held up in planning. Clients came to us after my lecture and my publications on the topic. They cannot be so outspoken sometimes because they depend on planners for approval. Marcus Fairs: So in other words your views haven’t damaged the business. In some ways it’s attracted more business. Patrik Schumacher: Yeah. There’s a new set of clients and it hasn’t deterred any of the [existing] clients. We’re doing our first project in London, we’re finding a planning and workflow for the Vauxhall towers. We don’t know if anybody else, would have approached us and might have been deterred. But I don’t think so. Because behind closed doors, a lot of the developers like what I was saying, and when I go to these real estate forums, and I make similar comments in the debates which are taking place there, actually it brings me a lot of contacts and conversations. Marcus Fairs: And then there was the issue of Zaha’s estate [which is worth £70 million and is the subject of an acrimonious and ongoing dispute between Schumacher and the other executors of her will]. Is there anything you want to say about that? It sounded like a quite unpleasant row. Patrik Schumacher: We’re in the middle of a court case, we think it’s moving quite fast. I’m hoping that we’re through all this by the summer. And I can’t tell much more about it, but I’m optimistic and it doesn’t affect the running of the firm. The firm is doing very, very well. But we need to finalise the final ownership of the firm, which would be a collective ownership. Fully independent. And that’s what it’s all about. It’s not about me making other claims about [Zaha’s] estate. The rest of the estate will all go to the foundation. But the firm needs to be set free, that was the point and it should have happened two years after Zaha’s passing. Now it’s been three years. I think we’ll get there. It’s important so that we finally know that we can shape our destiny fully. And that’s what I’m working on. And the details of this, I can’t talk about. But I’m very optimistic that this will be through very soon. And I think that’s possible. I mean there’s a new era. There was never this kind of high-profile creative firm on that scale, which can’t just be kind of closed down after the leader has passed away. Maybe Mies van der Rohe had 10 people or Le Corbusier had 16 people, so they couldn’t do that. But not when you have 400 plus, where you have literally 80 or 100 ongoing projects. So these things cannot be wound down or closed down. They need to continue. The kinds of projects we’ve been doing – innovative, high-profile, high-value projects – we are geared up to do those, and we are competitive at doing those. So that’s why we need to be seen and need to have that creative force. We need to be able to invest continuously in research and development and need to be in the public eye. We are not only myself: I’m lecturing all over the world. And you know, I’m giving roughly about 50 lectures per year. But quite a few others as well, who are building their profile, and various conferences and so on, and we have 50 about people teaching. So that’s the kind of a creative firm we are, which needs to become a creative brand of sorts. I’m not going to be there forever, either. So it needs to become something else. There are a few firms now, for the first time which have similar issues to solve. 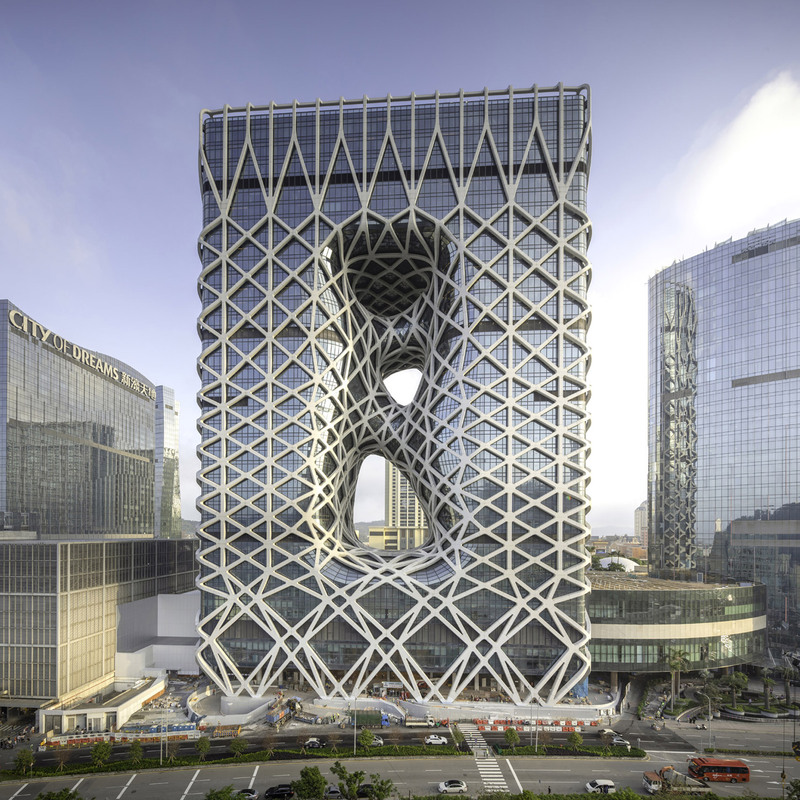 I mean, [Rem Koolhaas’ office] OMA I think is on a good path. And, you know, Richard Rogers’ office is continuing. And I mean, we are the first to face that problem, but there are many other firms will face a problem and the formula of Chanel/Lagerfeld. I think this makes sense. Marcus Fairs: Will you always have Zaha’s name on the door? Patrik Schumacher: Not necessarily, we don’t know that. That’s one of the elements which we need to negotiate. Patrik Schumacher: Well it’s something we’re internally discussing. It’s not going to be my name on the door, but a name which gives more space, not personality oriented, but indicates an overall creative direction and ambition. I think we will end up with such a name. That’s not finalised. Marcus Fairs: It won’t have Zaha’s name? Because with Chanel, it kept the name of the founder. 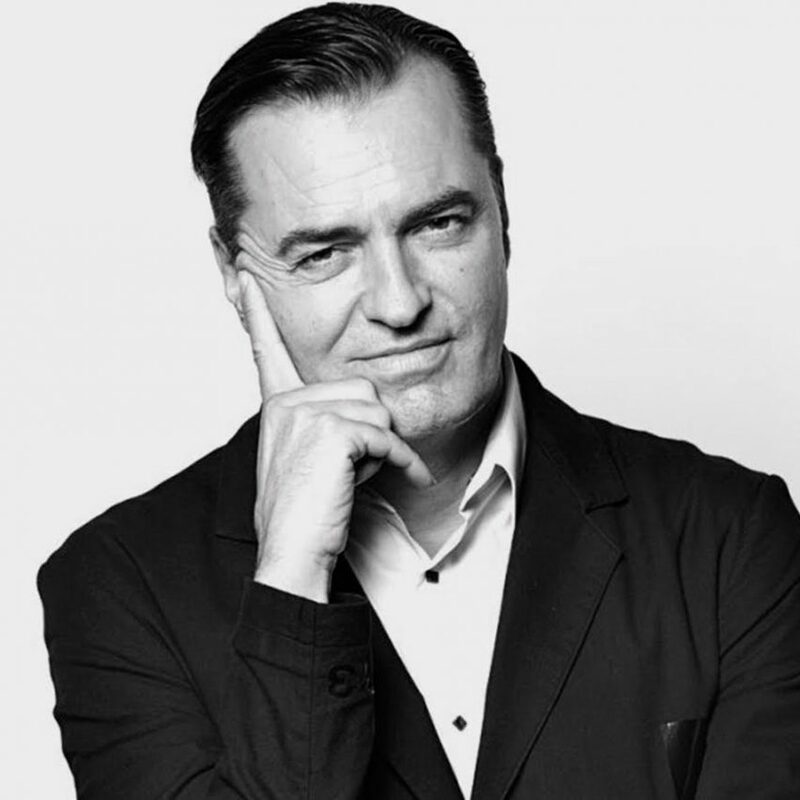 Patrik Schumacher: It’s not finalised. So I don’t want to speculate too much about it. It’s an ongoing conversation and it’s unresolved. But I think we’ll know at the end of the year. 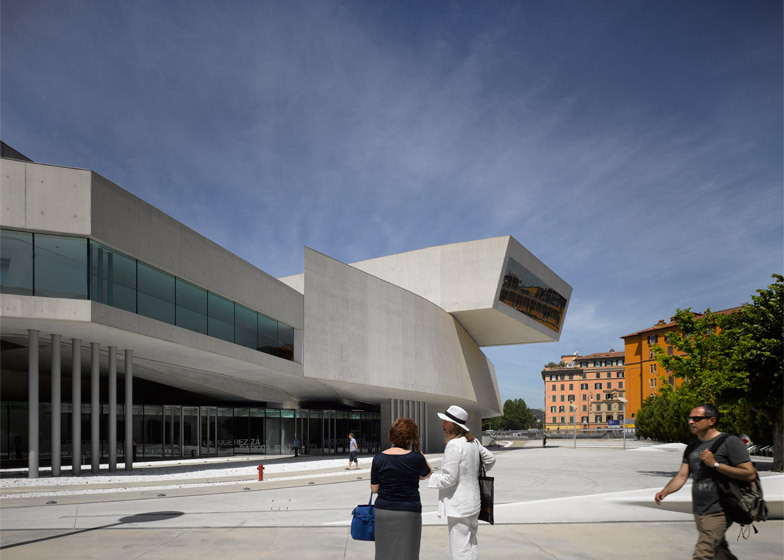 The post “We need to become a creative brand” says Zaha Hadid Architects principal Patrik Schumacher appeared first on Dezeen.